Watch the Rockets smother Charlotte's single/double action, Miami's twist on it, and Cleveland fool the Wizards with a dummy step-up. 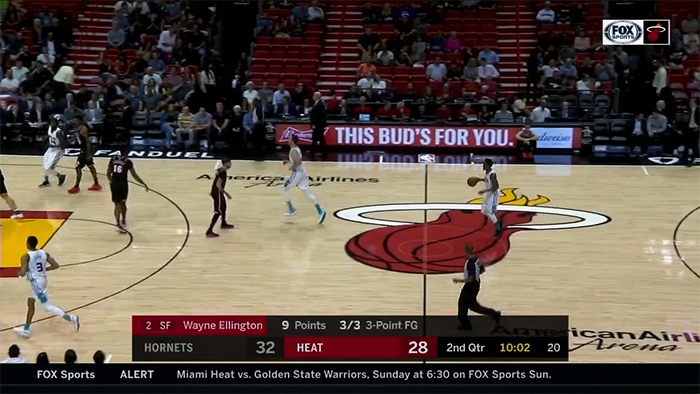 The Hornets run a play that starts with a set up that looks like “single/double” action: a player is stationed under the basket, with a single screen to one side and a double screen to the other side, giving him the choice of which direction he wants to go. Switching against this Hornets lineup would likely have been effective no matter what, since Charlotte didn’t have any shot creators on the court. 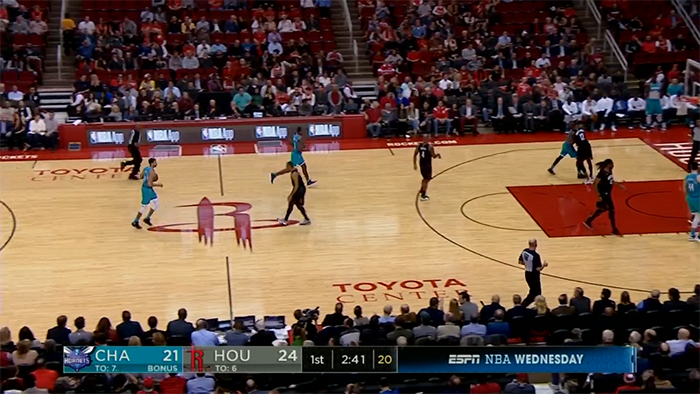 But it’s also the *way* Houston switched that strangled these two offensive trips. They were prepared for what was coming and switched aggressively to deny the initial option. It’s not an option that would normally be denied: the risk/reward tradeoff seems out of whack. That pass to the wing isn’t a scoring pass, so why overplay it and potentially give up something else? But it’s also the pass that keys the rest of the set. If the PG can’t get off the ball, he can’t go set the down screen. With an inexperienced group on the floor who didn’t know how to improvise their way out of that denial, stopping that pass ground everything to a halt.